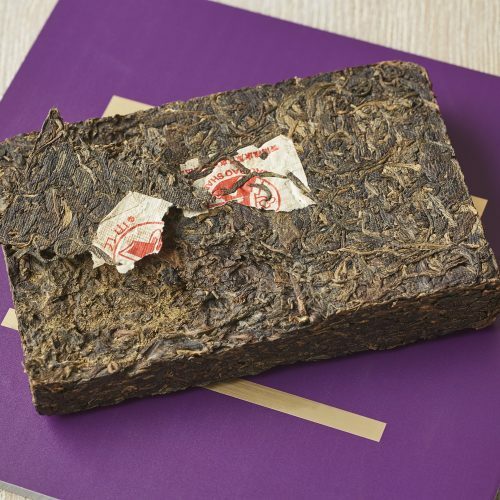 This vintage brick is a phenomenal example of aged sheng cha (Raw Tea). 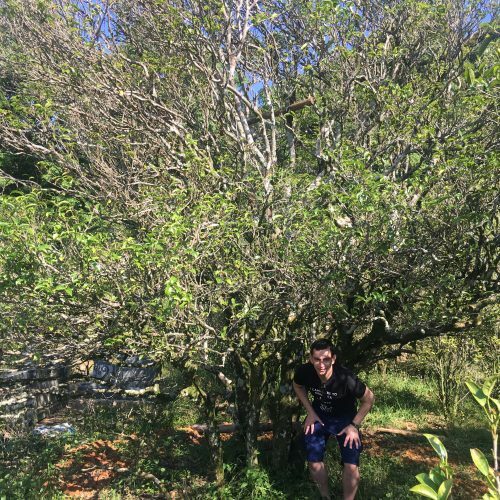 During our visit to China in May 2017, we befriended an Oolong grower in the Phoenix Mountains. Upon hearing our next stop was neighbouring Yunnan, he set up an introduction to this wonderful tea. 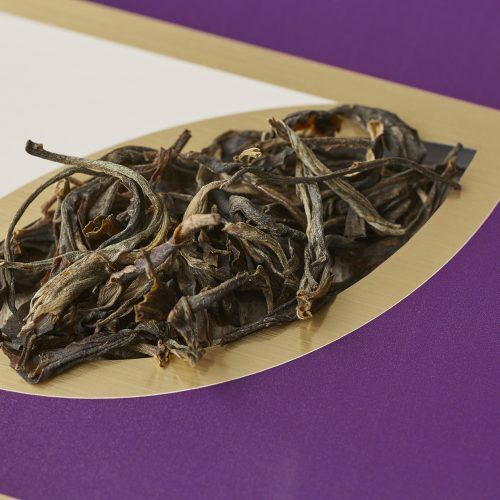 It is made with Yunnan seed plants that are 200 years old. The mixed cultivar plant grows at an altitude of 1750m. 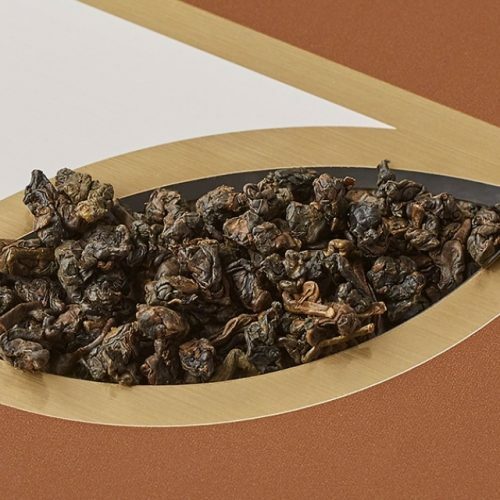 At the end of March, right at the beginning of the tea season , the bud and top 2 or 3 leaves were picked. Allowed to wither naturally in sunlight, the leaf was then gently oxidised. Post-fermentation is then encouraged.